To some, the most important feature of an eyepiece (besides a sharp, clear image!) is a wide field of view, while to others, long eye relief is #1 on their "must have" list. And to make things even more complicated, prerequisites for an eyepiece used mainly for lunar and planetary viewing are usually different than those required for huge objects like galaxies and nebulae. That is why Explore Scientific offers a wide variety of eyepiece designs; so that you can pick the features you require and desire, whether you are investigating the deepest reaches of space, the Great Red Spot on Jupiter, or migrating whales just off the coast of California. The Explore Scientific 68° Series Eyepieces were designed for those who prefer longer eye relief but still want to enjoy a field of view that is wider than a classic Plossl or Orthoscopic style eyepiece. If you wear eyeglasses and either want or need to keep them on while observing, the extra long eye relief built into the 68° models will allow you to do that and still observe comfortably. As you can see from the chart shown above, the eye relief in this series starts at almost 12mm on the 16mm model and increases quickly until it reaches a maximum of 31mm on the 40mm model. There are four Explore Scientific 68° eyepieces…the 24mm, 28mm, 34mm, and 40mm…that sport an eye relief of over 18mm, which is perfect for eyeglass wearers. If you wish to increase the magnification of these eyepieces while still maintaining their superb eye relief, use them with the appropriate Explore Scientific Focal Extender, which comes in both 1.25" and 2" barrel sizes. Of course, you do not have to wear eyeglasses to appreciate comfortable eye relief, or the quality that lives in each Explore Scientific 68° eyepiece. From the rubber grip and folding eyecup to the enhanced EMD coatings for superb contrast, we think you'll agree that these eyepieces are a perfect solution for dropping the power down on your telescope, which will increase the exit pupil size and allow you to see the faintest objects that your telescope is capable of. Optimized Optical Design Explore 68° Series Eyepieces are optimized through each design, fabrication, and testing process to produce high contrast, high resolution images. Durable Coatings & Finishing Touches Each element in your Explore Scientific 68° eyepiece is fully multi-coated, resulting in bright, sharp images, and every element has blackened edges to reduce internal reflections and increase contrast. 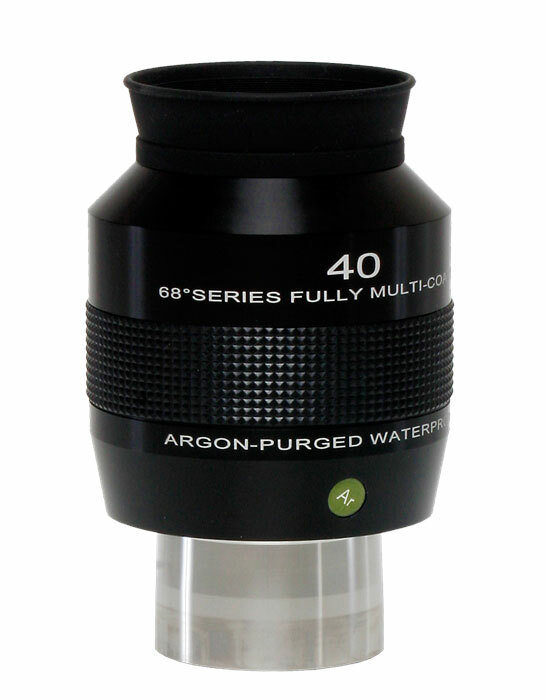 Waterproof, Fog-Proof Housing The internal optics of all 68° Series eyepieces are housed in a gas-purged, waterproof barrel that keeps them as pristine as the day they were manufactured. Cleaning is much easier, and there is no need to worry about water or fluid becoming trapped in between elements due to rain, spills, heavy dew, or getting over-enthusiastic with lens cleaning fluid. Tapered Barrel for Extra Security The insert barrel of each eyepiece is double-tapered to allow smooth insertion to, and removal from, a telescope's eyepiece holder or diagonal, however the wide dimension of the taper helps prevent the eyepiece from falling out of the telescope should the set-screw holding it in place become loose. Barrels are threaded to accept standard screw-on filters. Optional Focal Extenders for Extra Magnification Explore Scientific makes a wide variety of eyepiece focal lengths, allowing a change in magnification for just about any observational study you can think of. However, if you would like to get "double duty" out of the eyepieces in your accessory case, while still retaining the eye relief of that eyepiece, use Explore Scientific Focal Extenders. Producing optics for amateur astronomers that can be relied upon to deliver research-quality images requires a solid design, careful fabrication, multiple tests, and continued diligence to make sure we are always doing everything we can to produce a cutting edge, quality product. 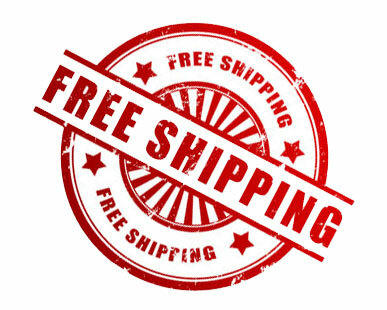 This is what we do at our facilities at Explore Scientific, and to insure your satisfaction, we back each eyepiece with the Explore STAR Transferrable, Extended Life of the Product Warranty, so you can keep exploring!